Exactly two months ago, I challenged myself to pick a major 2010 release of which I knew nothing and attempt to remain entirely ignorant of it until I see the movie itself. 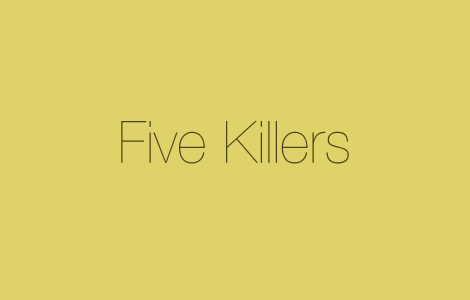 I chose the movie Five Killers and swore to avoid all trailers, posters, stills, synopses, rumours, casting decisions and anything else that could threaten to inform me. Would it be possible in this blog-saturated age to choose what information to receive and what to reject? I was determined to find out. One month in, I was still none the wiser. Now two months have passed and I still haven’t heard a thing.